NEW SUV which one? RAVE 4 xlt.. EDGE xle..Escape xle...Equinox LT...Outback premium..Crossteck limited..Mazda 5..We thought the New Honda was loud..
WE like Ride...Quiet...good visability...First time SUV...our old cars are Buick Park Avenues...we like great breaks and want all of the safety sonar alerts etc....we do not need sport ride...but like a good tight feel...we want to stay away from Big expensive wheels..the Basic 17 inch or 18 if it's the base on a bigger SUV...we like an easy to see dash and we are not into all of the texting and phone talking stuf...navigation is ok though.We want good usable space and reliability....ARe SUBARUES cost effective over the long term..CTV transmission and Boxeer motor maintainance???? We are thinking RAVE 4 XLE...EDGE SEL...need the big display...Equinox LT...???? start stop Tech...worried about that....Outbakck/ crosstech smaller consideration gas milage ...Escape seems popular with a good visable dashboard in the SEL..ANY SUGGESTIONS or experiences? The Subaru CVT transmissions and engines are not known for being the most reliable. The only reliable CVTs I've heard of are Honda's and Toyota's. Oil consumption used to cause a lot of head gasket failures in Subarus. The 2018 Toyota RAV4 is a great SUV. It provides a cushy ride and a quiet interior. All safety features are standard in every trim and they work well. It is a very easy SUV to live with. The infotainment system is extremely easy to use and outward visibility is good, too. It is just kinda boring and the handling is not as good as a Mazda CX-5, but better than the other cars on this list. For 2017/2018, they added more sound deadening and a softer suspension. It fits all of your priorities perfectly. It is the most reliable small SUV and one of the most reliable cars on the road. It's getting long in the tooth, but it is still the better choice compared to the others on your list. The 2018 Ford Edge is a decent SUV. It isn't the most reliable and owner satisfaction isn't too high. Safety features aren't even available until you get to the most expensive trims, which would be a total deal breaker for me. The RAV4 has these standard on the bottom trim and they are more advanced than the Ford's system. Visibility is not as easy as the Subarus or Toyota. I rented a 2017 Escape SE with the 2.0T for a few days and I didn't like it at all. The chassis and insulation felt kind of substantial, but it feels super top-heavy like the SUV will flip with a slight turn. I've never felt this in a car before and was puzzled. It only had 3k miles. The interior was horrendous compared to its competitors. Poor visibility out of the front and rear windshield plus flimsy fit and finish. The 2.0T engine was nice, but there is a lot of torque steer and made the power overkill. The Escape is also unreliable according to TrueDelta, Consumer Reports, and Carcomplaints.com! Thumbs down; it needs a big redesign. Like the Edge, the Escape is not available with safety features on the middle or lower trims. It is a popular car, but it doesn't mean it is good. Much of those sales go to rental fleets. The Equinox isn't even available with adaptive cruise control. Otherwise, it is OK. It is bigger than the other SUVs and is slow with the base engine. It isn't well-equipped with safety features on the lower trims. The Equinox has not had a good reliable history like the RAV4/CR-V has (CR-V before 2017). If it weren't for the fact that safety features are not too accessible in your budget, this could be a good car for you. These safety features are life-saving, so it isn't good to skimp on them. The Outback is great if you need AWD and a lot of space. It gives you a smooth ride and handling that is kind of sloppy. It is definitely tuned for comfort and not handling. It has a CVT and a boxer engine, which is not a good combination for driving enjoyment or reliability. Reliability isn't bad, but it isn't Toyota or Honda status yet. The Subaru infotainment system I've heard is junk. It is surprisingly expensive, but I've heard it is a very good wagon. 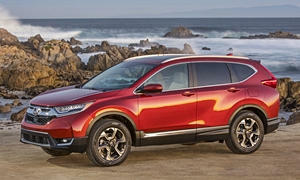 Pretty much everything is great about the new Honda CR-V, except the reliability on TrueDelta is not good. It is the leader in the small SUV segment right now aside from reliability. Safety features can be found on most trims. J.D. Power is not an honest source. Automakers pay J.D. Power if they want to advertise their awards (like Chevy) and JDP gives the automaker a higher spot. Also, a piece of trim coming loose is just as severe as a blown engine according to them. They don't give out specific problem areas. I feel like Buick deserves the spot it got, but almost all the other brands are out of place. There is not really a trend with JDP's ratings as there is with Consumer Reports. I'm not saying that CR is perfect either, but at least you have another option with CR besides looking at the overall reliability score. CR and TrueDelta give specific problem areas so you can decide if an infotainment glitch is a deal breaker. An infotainment glitch on JDP is the same thing as a broken transmission or blown engine. Neither CR or TrueDelta accepts bribes like JDP does. Rear cross traffic alert is only on the $40k Essence trim and above. Forward collision alert is only on the $43k Premium trim. It doesn't even brake for you; for it to auto brake, you need to get the $47,000(!) MSRP Premium II trim!! It's 2018 Buick! The $15k Yaris has automatic braking standard (and it works), but the $43k Envision Premium doesn't. Paying $12k above the base trim just to get Adaptive Cruise control, auto brake, and surround vision is hilarious. You can get a birds eye camera on the RAV4 SE or Limited. All the safety features the Envision has on the top trim are standard on the $24k RAV4 LE. Great recommendations as usual! Two things you didn't mention are your age / physical condition and how long you plan to keep your next car. Given your stated criteria I'd agree that the Toyota RAV4 is probably your best bet. Especially if you plan on keeping this vehicle for more than 5 years / 75,000 miles. 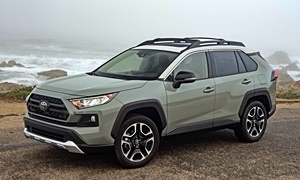 According to Edmunds, a similarly equipped, the RAV 4 will probably cost about $1,000 less to own over 5 years due lower initial purchase cost & Toyota's recommended routine maintenance / oil change schedule (6 months 6.000 miles of Subie vs 12 months / 10,000 miles for Toyota). Still I would advise looking hard at the Outback also. It beats that RAV4 in fuel economy and crash ratings (five star frontal rating vs RAV4's 4 four star). I suggest that you may find it more comfortable but that is really a personal issue that can only be sorted out by a test drive of a half hour to an hour in each. 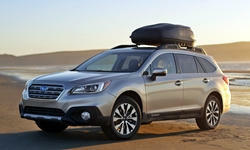 Outback's potential Achilles Heel is reliability issues, especially as you approach 100,000 miles. Interestingly, despite a strong consensus that Toyota is more reliable, Toyota owner loyalty is historically lower than Subaru (https://www.prnewswire.com/news-releases/experian-automotive-vehicle-loyalty-rates-rank-high-as-consumers-show-the-love-300199092.html ) Also the Outback has the highest loyalty rating for a "nonluxury midsize CUV" (Automotive News, Jan 16, 2018). So Subaru definitely is getting the overall package right. In summary, both are excellent cars. Your choice should be based on what feels best to you, your finances, and how many miles you plan to drive you next car. Best wishes in finding your idea car, please let us know what you end up with. 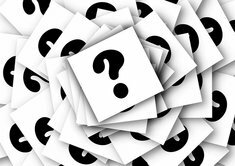 WE plan on paying cash and keeping the car 15-20 years 10,000-12000 miles per year we are 55 and my wife is 61 years old.I am 6 ft she is 5 ft. we have 2 Toyota dealers nearby.well 20 miles away..The Subaru Dealer is 30...and 35 miles away ..Ford and Chevy real close. I mentioned that we have 2 Park Avenues a 2002 165000 miles yet...and a 2000 we got rid of last year for a 2017 Chevy Impala LT at 20% + another $1650 off last year...my wife loves the Impala ..and the blind spot monitor as well as the v6....in any case....we also want to try to space the vehicles out a bit...so we do not end up replacing 2 at once...so we would consider getting outside possibility of trading out in 4 years or so when she turns 66...and then ill rack on any milage for work... so as for milage wewill soon be looking at well our last vehicles...but we will have to see how cars hold up. I've had a few Buick's (Opel) since 2013 and they've always been great cars. 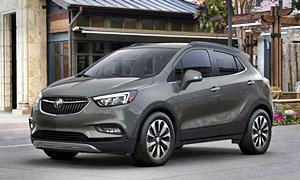 Now the family is starting to end their leases and seeing that Buick has $13,000-15,000 off some models they are in a new Buick Lease or purchase and like them so far. GM doesn't rely too heavily on the automatic driving functions as do not work all the time. The Tesla crashes that people have died to just stopping the car low speed like Toyota's system that don't really work. Toyota's safety systems do work. They didn't work for that person and you bring it up once every few weeks. I wonder why Buick doesn't have any Top Safety Picks +s. 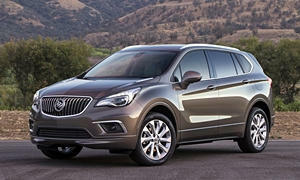 The only Top Safety Pick without a plus is the Envision. In the IIHS tests, the Envision only avoided the 12 mph collision. It only reduced the speed by 9 mph in the 25 mph autobrake test and lost a few points because of this. My Prius stopped all the way in a 40 mph autobrake when a guy ran a red light perpendicular to me in a potential T-bone crash. I was in the most sensitive autobrake setting. The RAV4 aced both IIHS autobrake tests. Even if you don't think these systems don't work, isn't it better to have them than not? I haven't heard of many people complaining that their safety features don't work in the event of a crash. Almost all of the Tesla crashes involved drivers that were watching movies on their phones and other stupid stuff with autopilot enabled. The driver still has to be looking at the road all the time and automakers tell their customers this. Musicdoesit: 15-20 years is a really long time to keep a car. Especially at this time of life. Auto technology is advancing so fast. And as, a 68 year old, I can say one's healthy and abilities advances kinda fast too. While driving a car till it is rust is a noble, thrifty idea, I might suggest you at least mentally prepare youself for letting go of Ol' Besty a little sooner than 15 years. Michael's advice about safety featurers is spot on. They are not just for bad driver's as none of us can see 360 what's going on or react to in appropriately everytime. The last accident I had 12 years ago would have been avoided with today's current tech. I feel so much more safe and relaxed with the Eye Sight, forward and reverse collison braking, blind spot warning... Whatever you get, I recommend you don't skimp on the safety features. They could save your or someone else's life. Musicdoesit: 15-20 years is a really long time to keep a car. Especially at this time of life. Auto technology is advancing so fast. And as, a 68 year old, I can say changes in one's healthy and abilities can advance kinda fast too! While driving a car till it is rust is a noble, thrifty idea, I might suggest you at least mentally prepare youself for letting go of Ol' Besty a little sooner than 15 years. And the insurance companies are not recognizing safety features. Why, because they don't always work. DanlisaHALL: Thanks for the input....incidently my wife and I were talking about the goodold days how we both approched car ownership.....time and how fast technolgy changes even from tapes to CD's to now just digitaland allof the new hardware....Thninks about a problem with a display in a dash 10 years from now let alone 15 - 20..Todays cars are not even the ones 8 years ago....I also heard...Source? ?...a while back that Auto parts places and inventory for so many changes has become a challenge...(nightmare)...and really 7 years of REAL availability of replacement parts is a general rule of thumb...and if you d get parts....they will be cheaply made imports/copies...A freind of ours had a hard time getting an alternator for a 2003 Dodge one of those convertable 2 doors...$545..and 2 of them did not work. A number of people at work are leasing 3 years and out..and although we could pay cash.....why tie up 25,000 -35,000 when you can gt 0% and $500 off yet..or more on some financing deals..I use to really enjoy looking at and running a car for a long time BUT....getting back to your response....WOW we are really thinking about a different approach. YA we would be in 10 years 71 and me 65..withn MAYBE another 10-20 to live yet..and I am sure the USA will see some rough economic times ahead and the value of the dollar and costs will really shake things up...in any case EXPENSES of owning a car will continue to go through the roof. Insurance quotes all come in for the vehicles I mentioned for US $305-310...But the EDGE was $20 cheaper $285 for 6 months than the rest. Check out these lease deals for Feburary on C&D website. Go to bottom for the graph of all cars and cuvs.